You're almost there! Choose your AnyTrans license, and save up to $140 NOW! You are about to be the true iPhone master to manage your music, photos, messages and more. 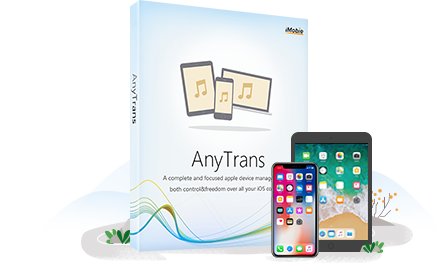 With AnyTrans, transferring, backing up and managing iOS data & files will turn into a simple and pleasant task, even the contents from iTunes and iCloud. We firmly believe this risk-free purchase guarantees the best value for you. If, in any case, you are not satisfied with AnyTrans within 60 days, you'll get 100% unconditional full refund. You'll receive your activation code instantly by email after purchase. You're guaranteed to 100% FREE enjoy every up-to-date version. Our 24/7/365 customer service is there for you at all times. Have any problem on purchasing? Please feel free to contact us.